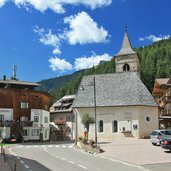 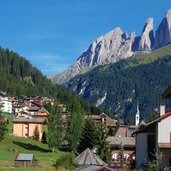 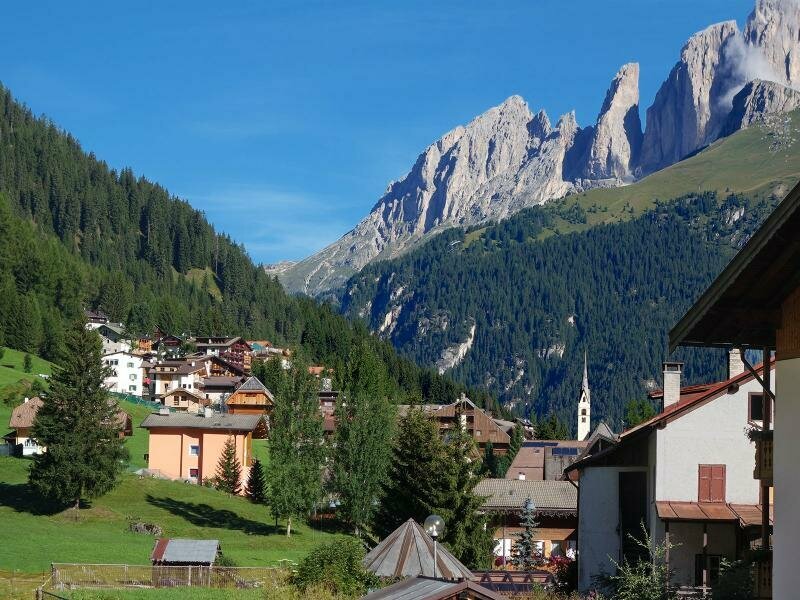 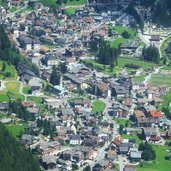 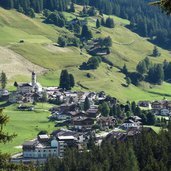 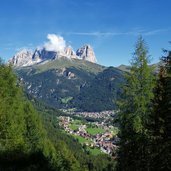 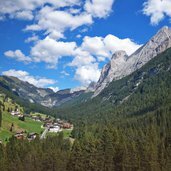 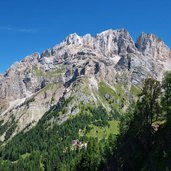 Canazei is a municipality with some 1,800 inhabitants in the Upper Val di Fassa. 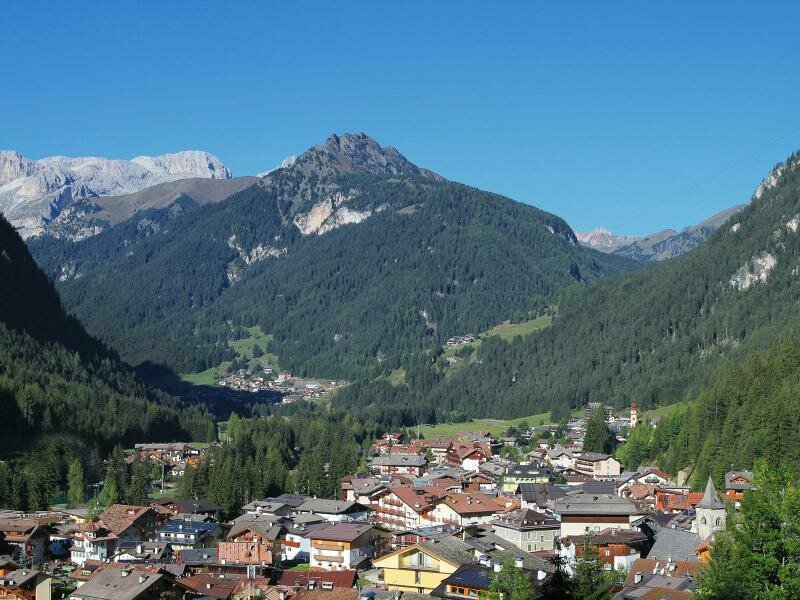 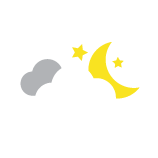 The language spoken in Canazei is Ladin; the Ladin name of the place is ”Cianacei”. 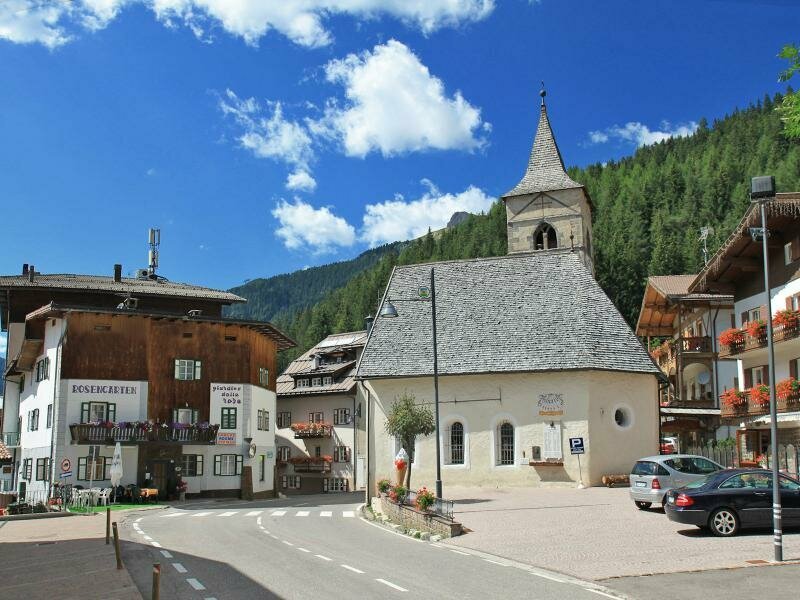 Canazei is a municipality in Upper Val di Fassa. 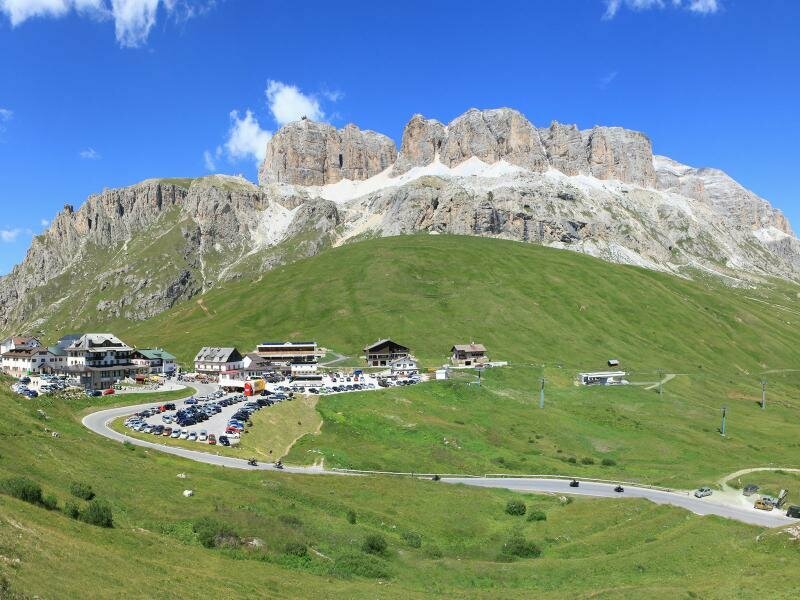 Near to the village are the crossings to Passo Sella, Passo Pordoi and Passo Fedaia. 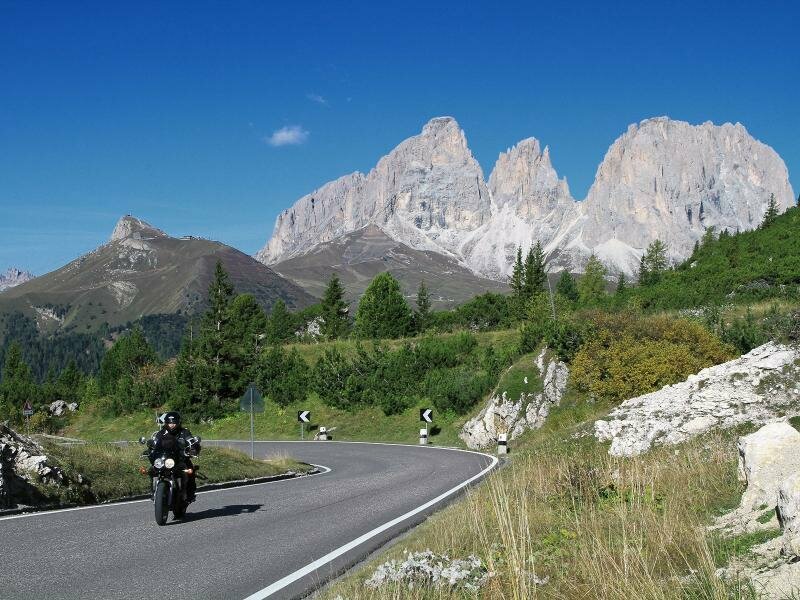 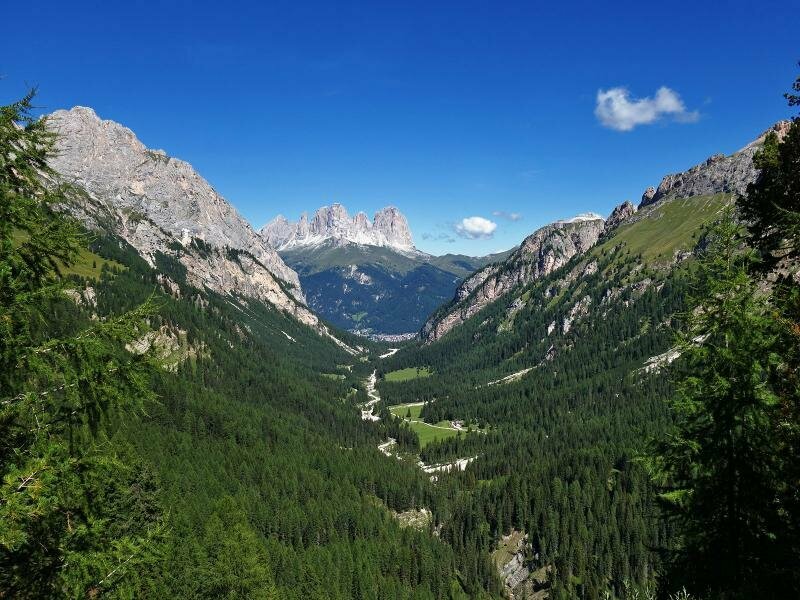 The pass roads offer breathtaking views of the Dolomites. 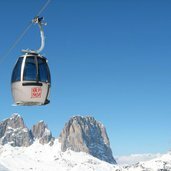 Passo Pordoi - this pass connects Canazei with Arabba and the Val Badia valley. 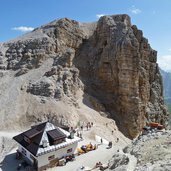 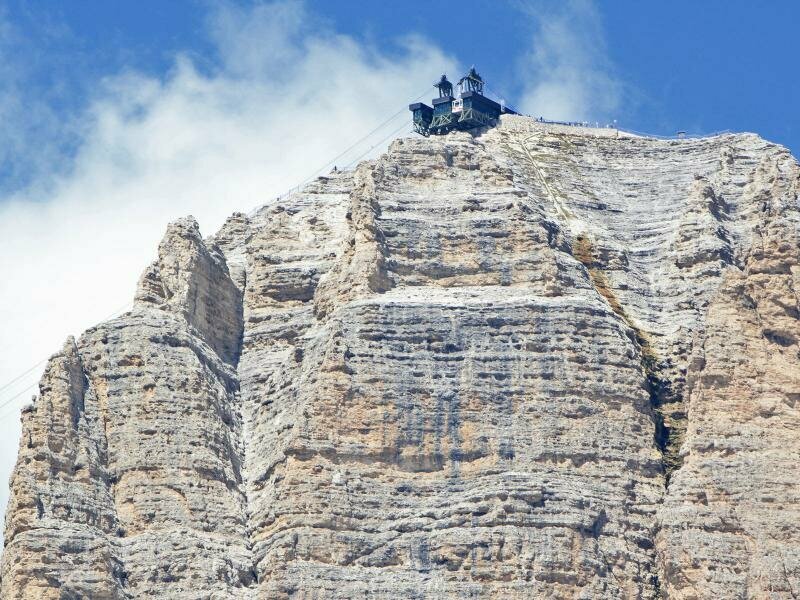 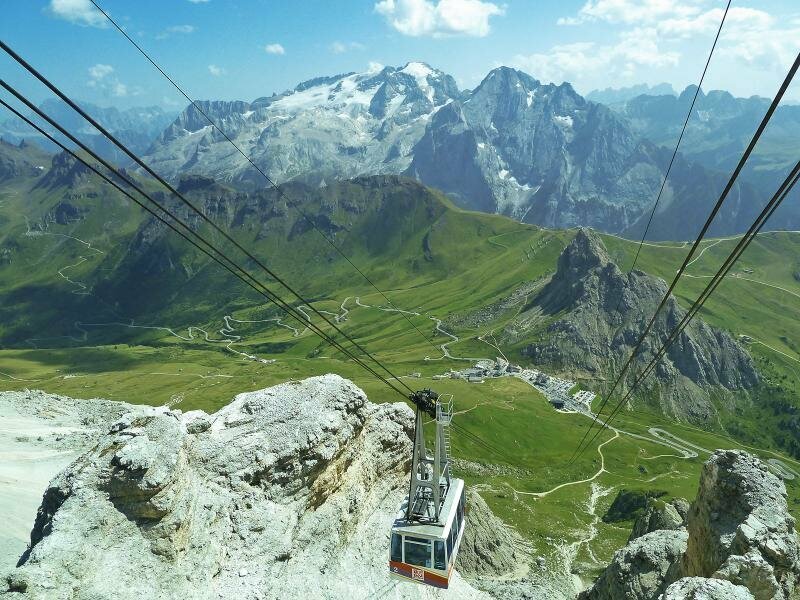 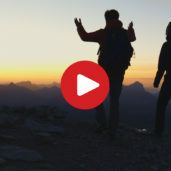 Passo Pordoi: the funicular brings you into the world of the Dolomites. 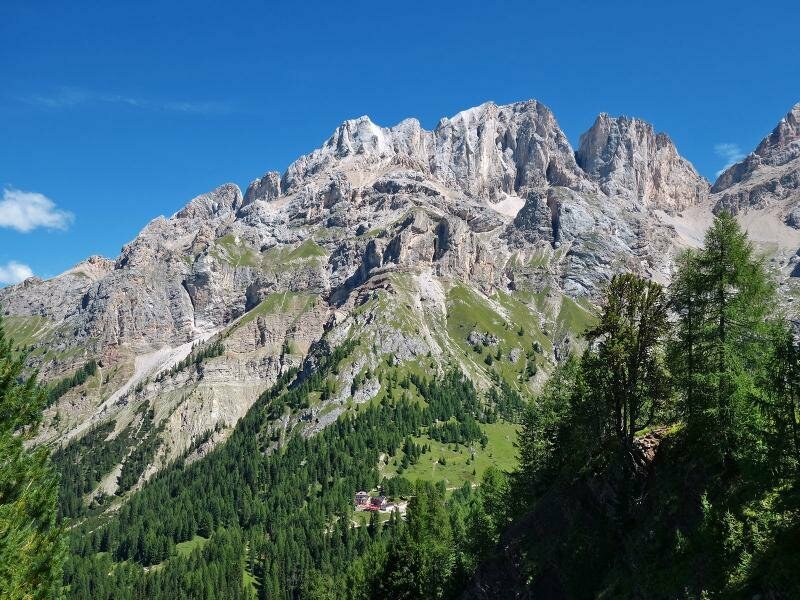 Sella mountain group with Piz Boé peak. 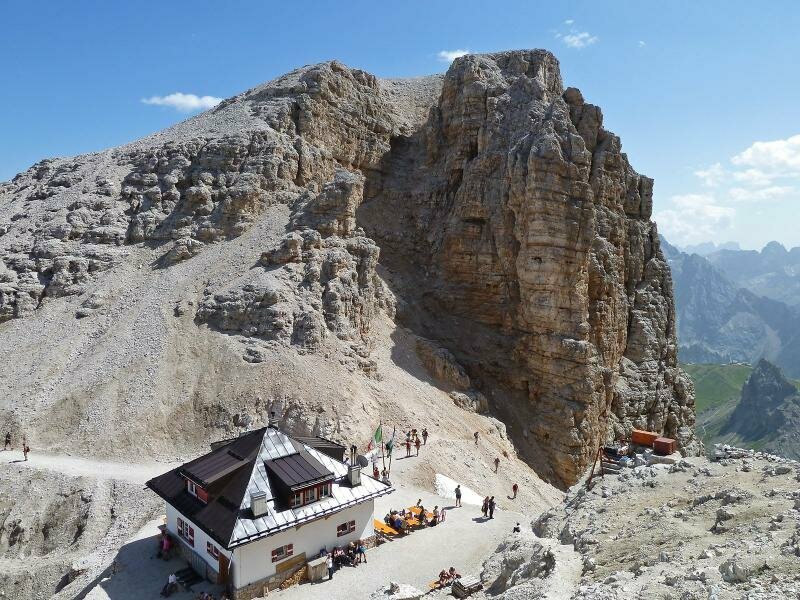 The rifugio Forcella Pordoi hut at the beginning of the path to Boé. 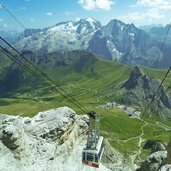 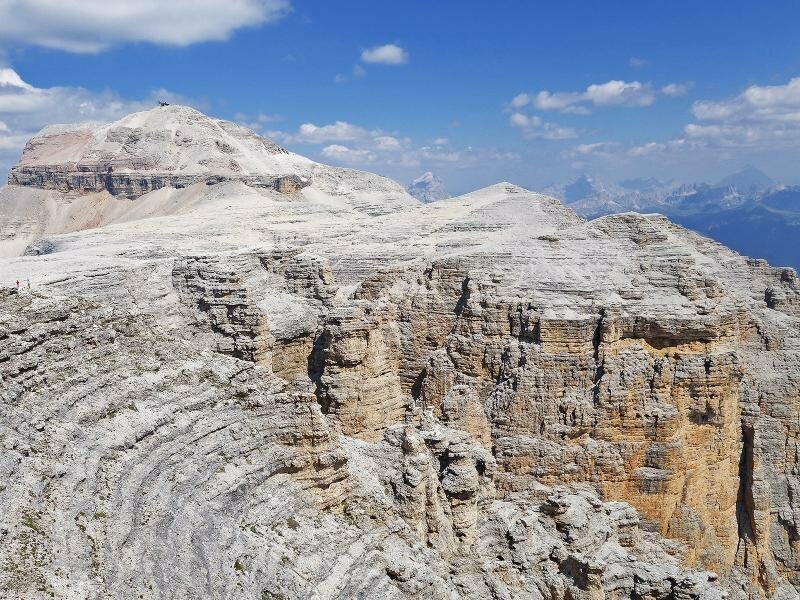 View from the Pordoi cable car to the Marmolata glacier. 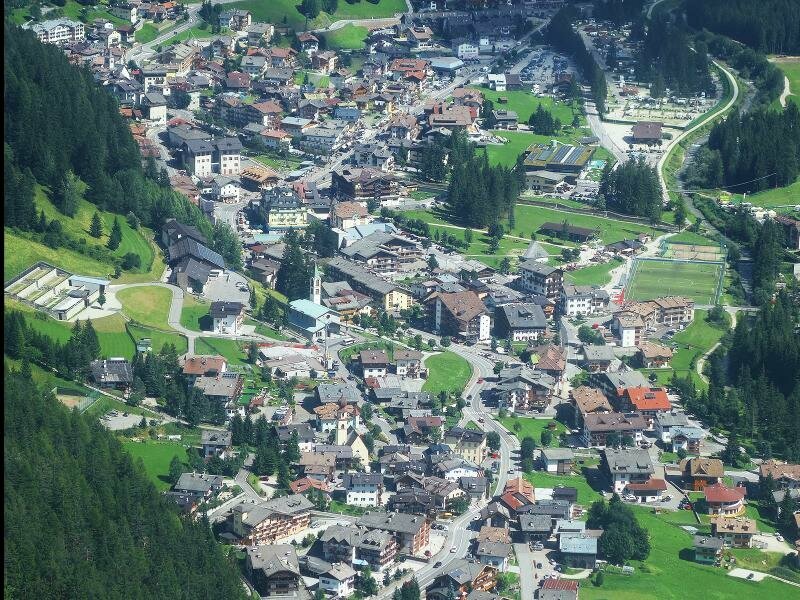 The hamlet Alba di Canazei. 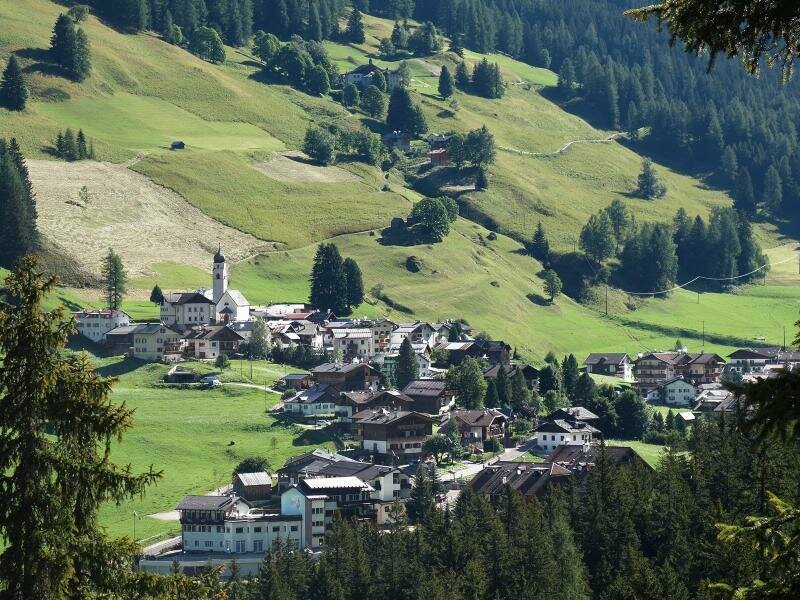 Penia, another hamlet near Canazei. 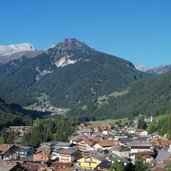 Canazei and, behind, the Sassolungo mountains. 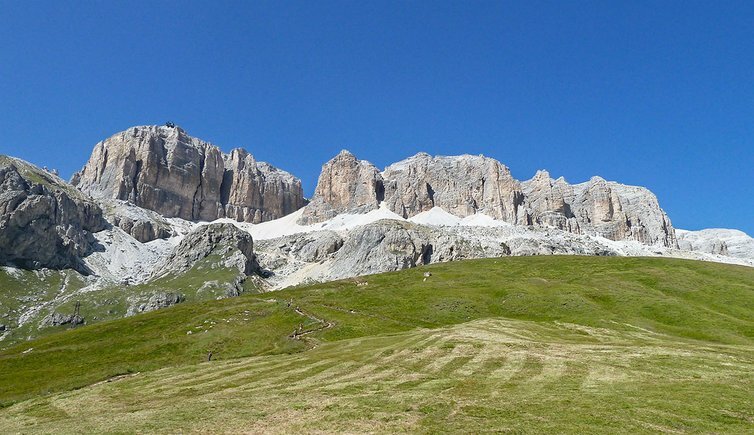 The hiking area of Contrin valley and Monte Colac. 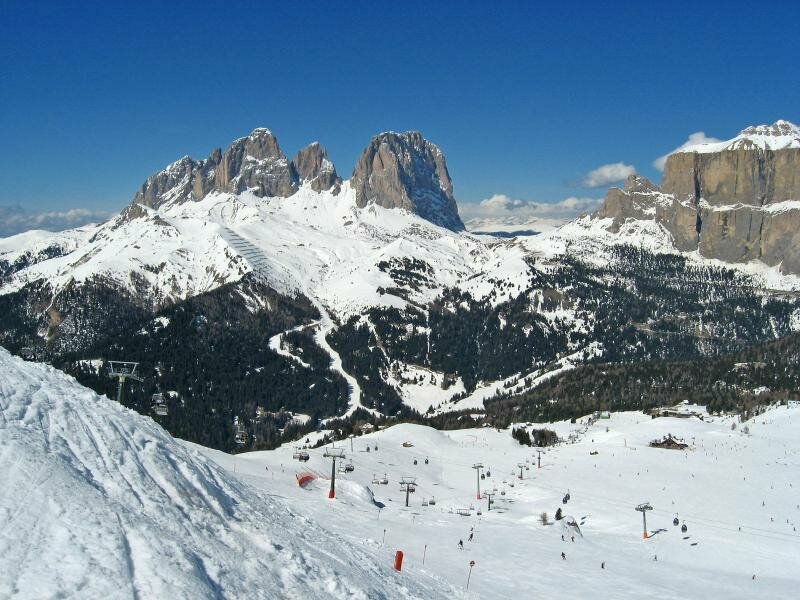 Gran Vernel and Piccolo Vernel peaks. 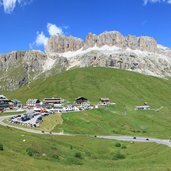 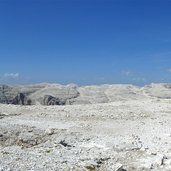 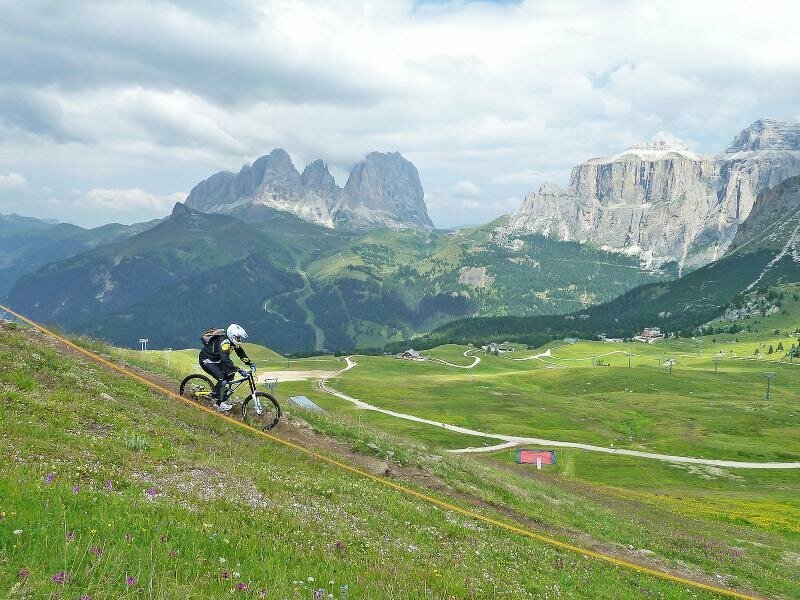 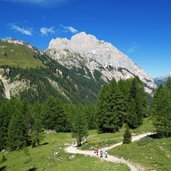 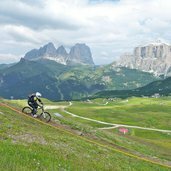 Passo Pordoi is a perfect place for mountain bikers and downhillers! 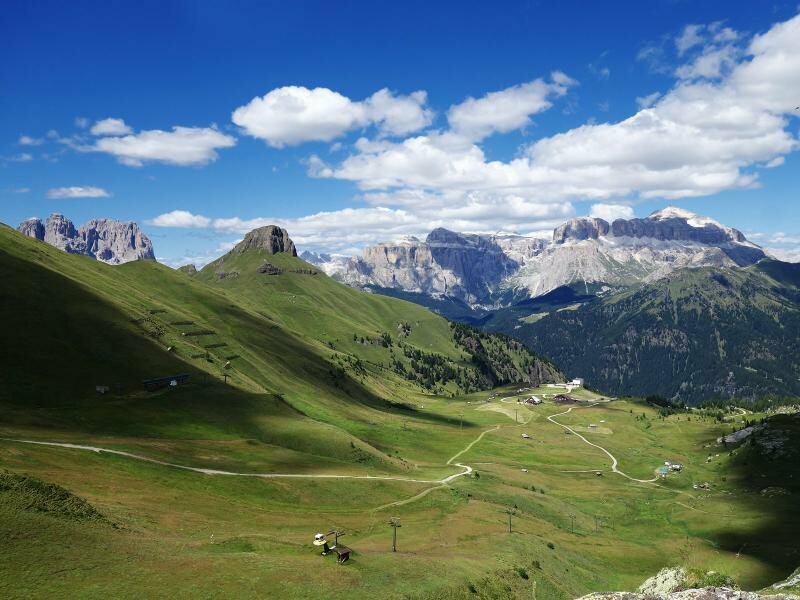 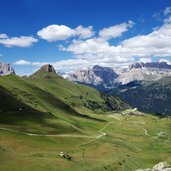 Ciampac alpine pastures and Sella mountain group. 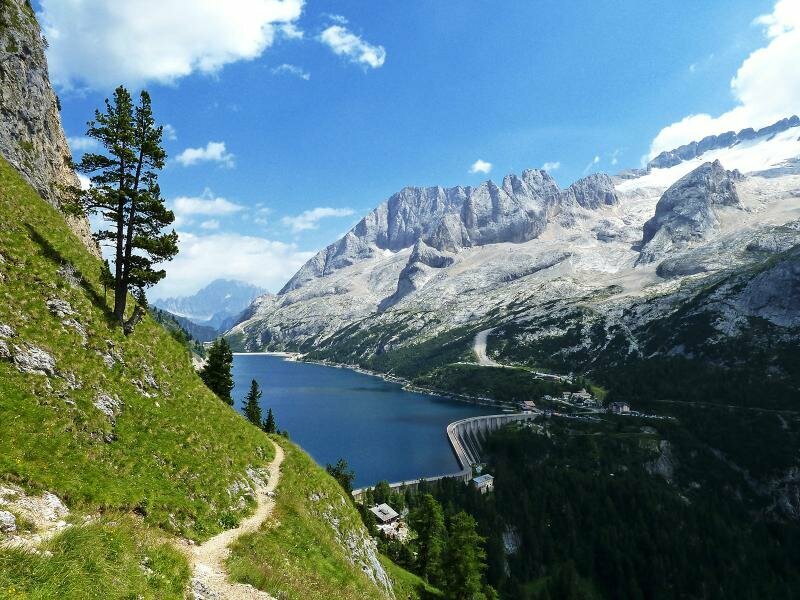 Sight from Viel del Pan trekking path to Fedaia Lake and mount Marmolata. 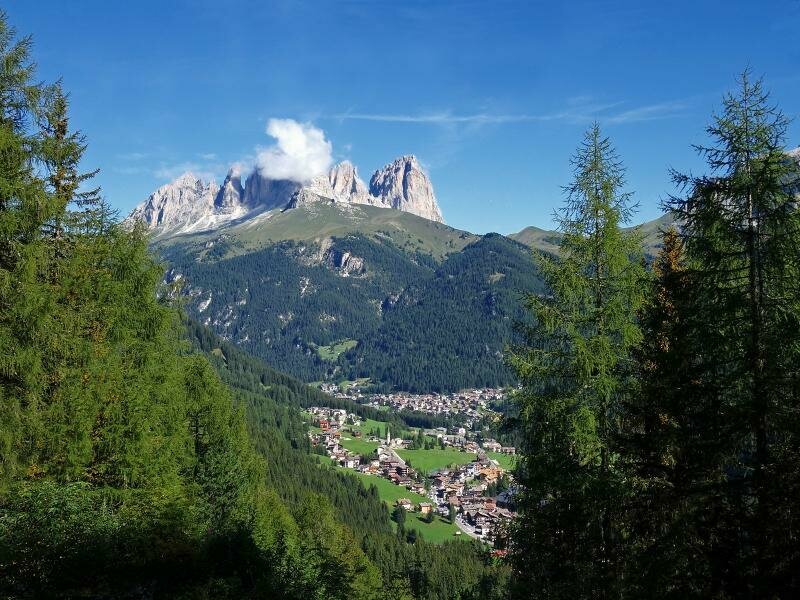 Penia and the upper Fassa valley, at right the rocks of Marmolata. 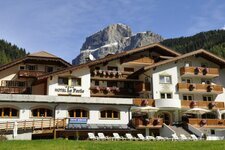 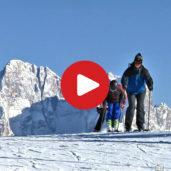 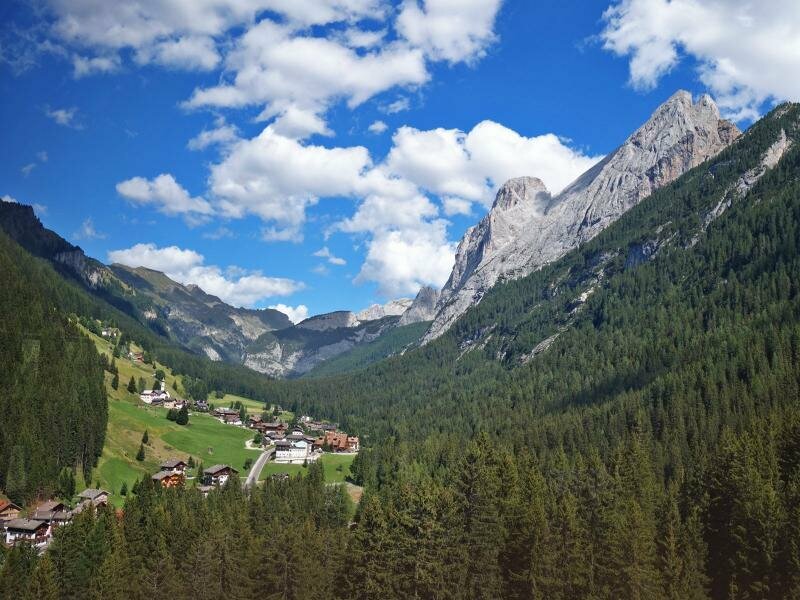 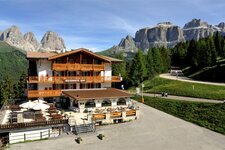 Modern infrastructure and great panoramic views: welcome to Canazei in Val di Fassa. 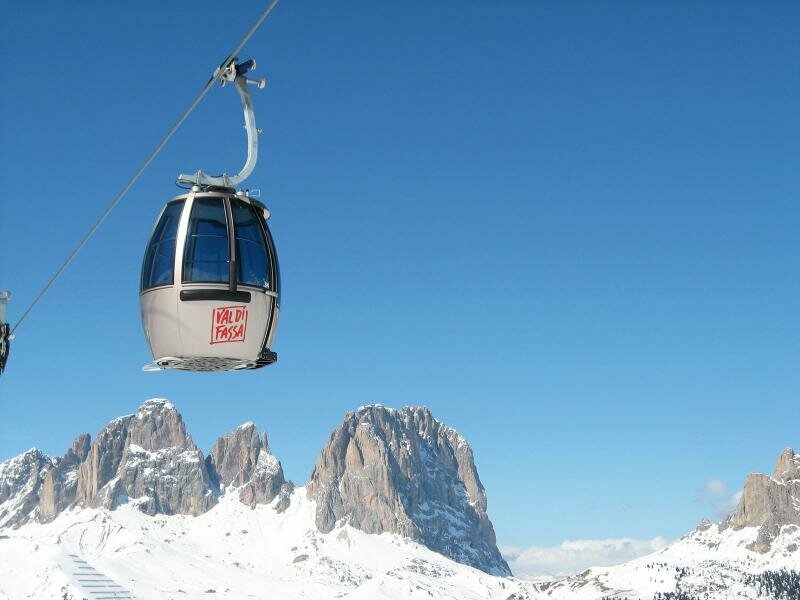 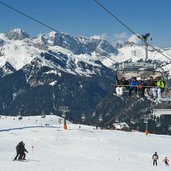 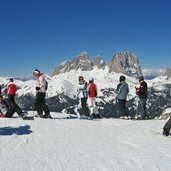 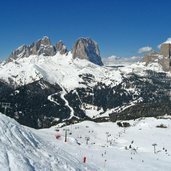 Canazei’s skiing areas Ciampac and Belvedere-Pordoi are part of the Sellaronda tour and the Dolomiti Superski resort. 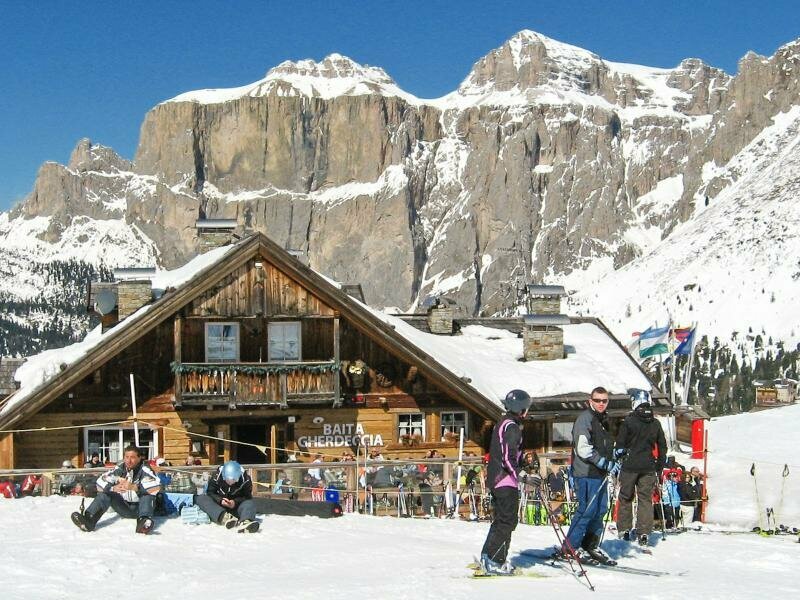 Numerous mountain huts and shelters attend to us near the slopes. 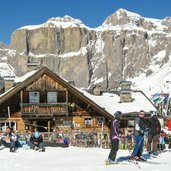 Thanks to the surrounding Marmolada and Sella mountains, Canazei is a popular holiday resort in winter and summer alike. 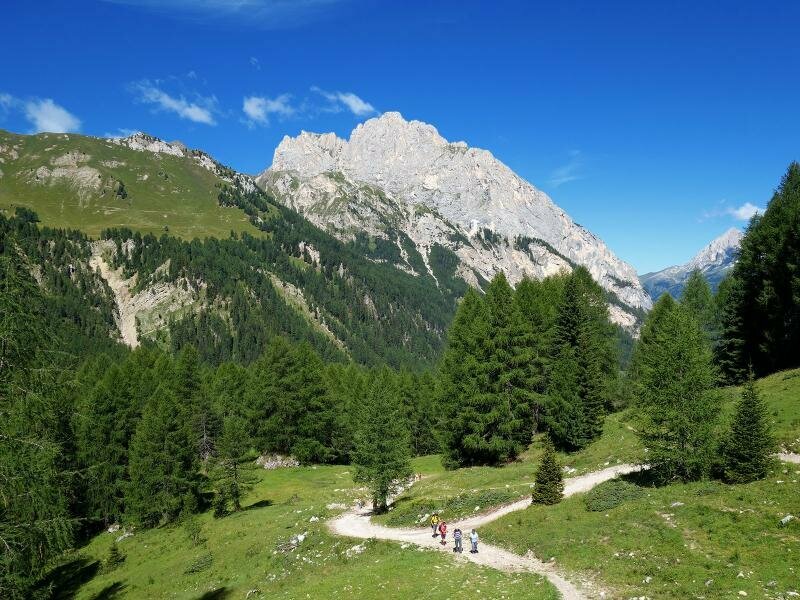 Countless hiking trails are spread across the mountains, from where you might enjoy a breath-taking view of valleys and mountains. 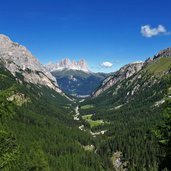 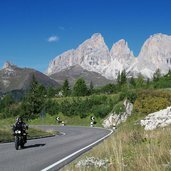 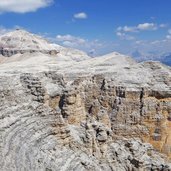 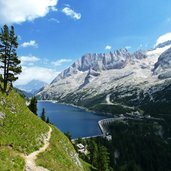 From the Gruppo di Sella mountains to the Sassolungo or the Marmolada - they all attract numerous visitors year after year. 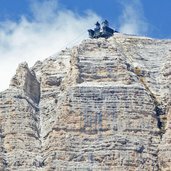 Experienced mountaineers might go for an adrenaline based session and explore a number of via ferrata routes. 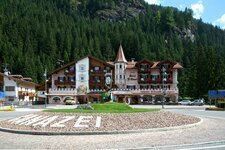 In winter you will get to know Canazei’s true nature. 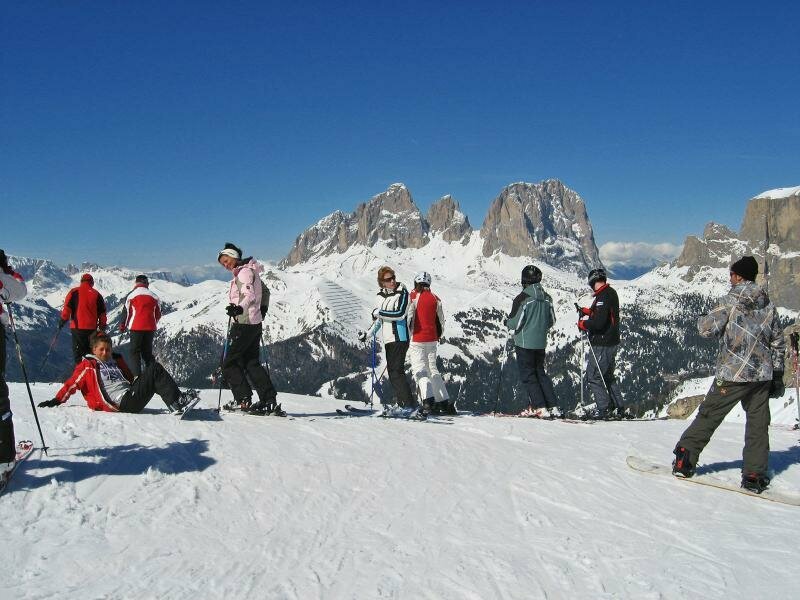 Now the broad ski centre with its four ski areas - Belvedere, Ciampac, Col Rodella and Marmolada - is within easy reach. 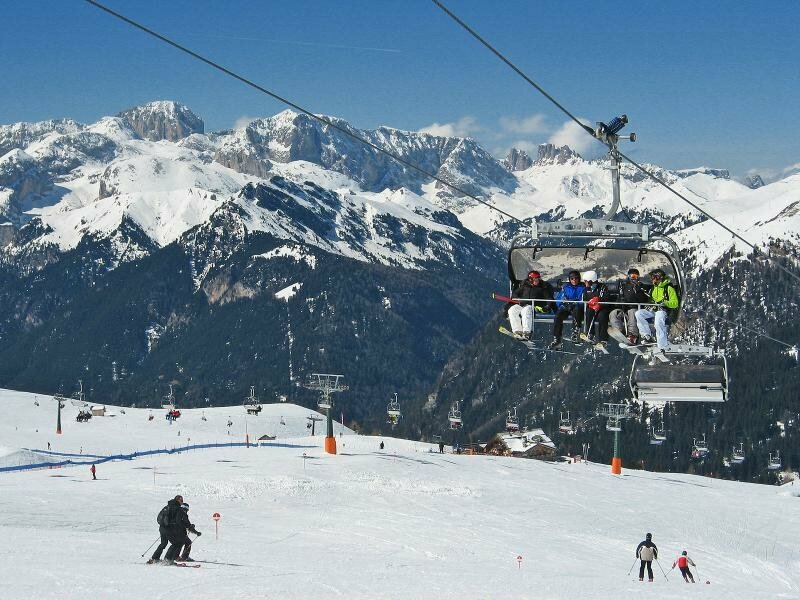 State-of-the-art ski lifts and carefully-groomed runs are waiting to be discovered.